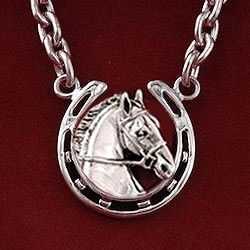 Friesian/Paso Fino sterling cut out horse head pendant on 16″,18″, or 20″ eight sided snake chain. 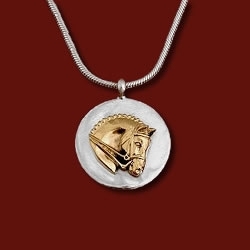 Head measures 7/8″ high by 5/8″ wide. 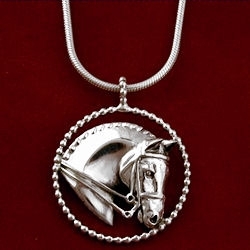 Friesian/Paso Fino horse head pendant in sterling comes on a 16″,18″, or 20″ eight sided snake chain. 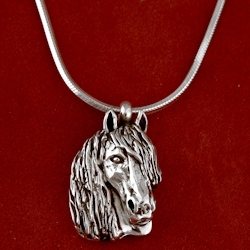 Head measures 7/8″ high by 5/8″ wide.